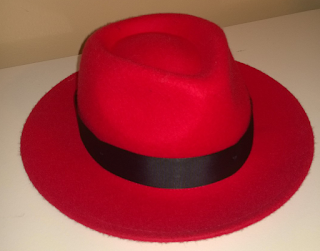 Almost a week ago I had the chance to take a big step in my professional life and have the privilege of joining Red Hat. Yes, that Red Hat, the one you immediately associate with Open Source, Linux and Fedora. I am now an OpenShift Technology Advocate. That means you will see many new posts around Cloud Computing, App Development with OpenShift, Open Source and whole new set of articles around the incredible PaaS offer from Red Hat. But today I just want to give you a general idea of my first week in the company. After a lengthy and fun interview process and the usual logistics that come with a new job, I had to go to Raleigh NC, where the corporate head quarters are located. I took my family on a road trip, that was a little tiring with two kids partially on board with the entire idea. We made it all the way up to the Research Triangle in one day. On Monday and Tuesday I was part of the new hire orientation in the Red Hat Tower. There I had the chance to meet new members of Red Hat and learn a little bit about their backgrounds and new roles. We also learned about the company, our goals and culture. To be honest, I am still digesting some of the information and awesome advice we received those first two days. If anything has to be said about the entire process is that it gives you a great idea of what the company stands for and why is great to be part of the team. The rest of the week I met with some of the OpenShift team that are located in Raleigh. Our team is spread all over the country, which makes things quite diverse and interesting. I can tell you that my team is awesome. They welcomed me with open arms and the entire on boarding process was a breeze.